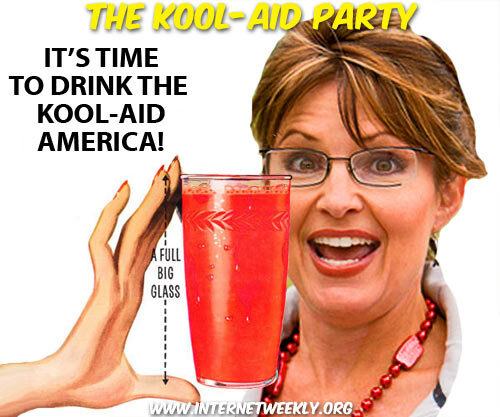 Drinking the Kool-Aid isn’t that cool, you know? Let’s talk metaphors, shall we? And what is a metaphor? It’s a figure of speech, it’s making a comparison using two things that are otherwise unrelated. It achieves its effect via association or resemblance. Take the phrase drinking the Kool-Aid, for instance. What could it mean? Well, if you think that’s what all are doing, you’re wrong. It’s actually a blind, uncritical acceptance or following. It’s doing what others are just without actually questioning it or critically examining it. And the phrase actually carries a negative connotation when applied to an individual or a group. The term is a reference to the 1978 Jonestown cult massacre, where people were given a cyanide-poisoned Flavor Aid (similar to Kool-Aid) to drink. Over 900 people drank what was given to them and died. Honestly, I prefer to question what’s given to me. No, I’m not a sheep. No, I won’t do or say something because others are doing or saying it, or because that’s what’s expected of me. I’m NOT drinking the Kool-Aid, thank you very much. So, no, I’m not an instant fan of something just because. I have to see it with my own eyes and listened to it with my own ears. And most importantly, analyze it with my own brains, thank you very much.